‘So busy last week and so shocked at singer/song-writer David Bowie’s death, I was sure it was too late to offer a tribute. But, when I saw the new Billboard Top 200 Albums and Top Rock Tracks charts and realized that Bowie all but owned them, I hoped that my memories might still be relevant. In appearance, he was fairly conservative. I felt the funky beat in the song and could understand why the program’s regulars considered it dance-able, but it was distinctly different from standard Soul Train fare. I had no idea that I was was watching the first solo white artist perform on Soul Train, the 1970s soul/r&b alternative to American Bandstand. In 1979, I was re-introduced to Bowie via a weekly Top 20 countdown of the previous week’s most-played rock tracks on Sunday evenings on Rock 107 (WEZX fm Scranton). It was my first connection to artists on the edge, like Bowie, Elvis Costello, Dire Straits, Sniff & the Tears, Talking Heads, and The Patti Smith Group. I wish that I had access to the “Radio & Records Charts” from the late 1970s to 1980s, from which the countdown was taken. The first time that I heard “Space Oddity,” I almost wept. David Bowie took me farther into space with a song first charted in the UK in 1969 (that I heard for the first time in 1980) than to which Elton John’s “Rocket Man” even hinted. When I got my first shift on Penn State Wilkes-Barre radio station WPSU fm in 1980, Bowie’s “Fashion” was the first #1 song on my countdown of whatever New Wave, Progressive, Punk, Alternative tracks I could pull together each week on a shoestring budget (me and the college combined). For a creative writing class, I composed an epic poem about space traveler Yob Revol inspired in part by Major Tom and got an A. Like most music-oriented college students, my first girlfriend at PSU also liked Bowie. My next girlfriend – and still close friend – didn’t simply idolize David Bowie, she had a knack for taking on aspects of his look and persona when she so wanted. For some reason, Bowie looked just fine on her to me. Sitting together in the bedroom of her home deep in the woods near Tunkhannock, we listened to every Bowie album she owned. I was fascinated. Although it might have been her third time seeing Bowie on his “Let’s Dance” tour of 1983, it was the first of only two times that I saw him live, and I’m so glad that she was there. Also with was our friend Mark, who would eventually stand with me as my “best person” at the first of two weddings with my now-legal husband. The release of “Let’s Dance” paralleled my coming out, forever endearing David Bowie to me and many of my gay friends. I finally realized, however, that many if not most fans of Bowie’s music were neither turned on nor offended by his androgynous appearance – one more small lesson in not worrying what others are thinking about you. 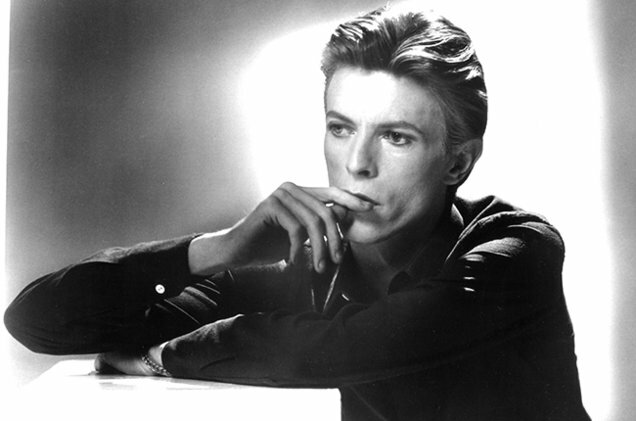 “Blue Jean” from Bowie’s next album was enormously popular, and it seemed that he’d reign supreme through the 1980s. But big hair bands, boy bands, cheesy Brit-pop and synth-heavy dance music were slowly taking over the charts. Nonetheless, Bowie continued to impress me through the rest of his recording career, especially when he collaborated with other artists. I was fortunate to be able to share his music with listening audiences of radio stations in the Wilkes-Barre/Scranton and Williamsport markets. For most of my favorite artists, composing a “best of” chart is challenging. For David Bowie, it is Impossible. His music spanned so many decades and genres, that no one chart can effectively catalog his works. Songs of his that each of us hold dear and are certain were among his biggest hits may not have been, especially in the US in the early 1970s. What I offer here are several examples of how his vast repertoire is viewed from different perspectives. Sales and airplay of Bowie’s earliest recordings were first charted in the late 1960s in the UK by music industry publications there. By 1972, Bowie’s music started to sneak onto the (US) Billboard Magazine pop charts due largely to airplay on experimental FM radio stations and sales of imported LPs. FM radio would continue to further the popularity of the Thin White Duke and Starman, as would college radio stations and the earliest commercial alternative radio franchises like “Rock of the ’80s” on KROK fm in Los Angeles. 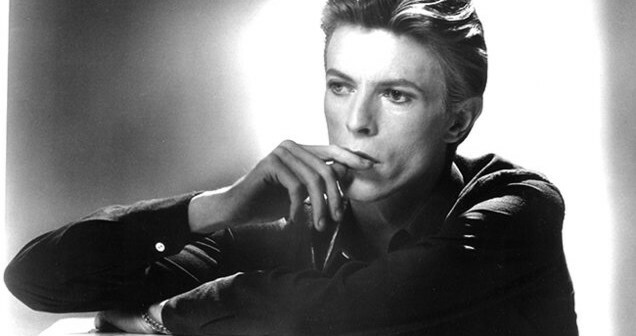 MTV certainly augmented Bowie’s career, as he was always ready for his close-up…nearly to the end. Additional charts on which Bowie did well were Billboard’s Rock Hits Charts and Alternative Hits charts. I’m assuming that he’s also well-represented among the all-time favorites on the Dance/Disco charts. Surprisingly, I found that Bowie never (officially) crossed over to Adult Contemporary/Adult Hits radio, not even with “China Girl,” “Never Let Me Down,” or other mellow tunes, as did so many other rock stars. I decided that the best that I can do here is offer his pop hits (first) from a UK pop perspective, then a US pop perspective, US Rock (charted from 1981), and US Alternative (charted from 1988), and a few other unique chart appearances for comparison and recollection. Some surprises: Bowie’s first American #1 and biggest US pop hit ever, “Fame,” only reached #17 on the British Charts. His two songs about Major Tom were his biggest British hits. “Changes” hit the American charts in both 1972 and 1975. “John, I’m Only Dancing” reached #12 twice in the UK while never charting in the US. Bowie’s last Top Ten hit on the British charts was in 2013, but he had not placed any songs on any US charts from 1998 – except for his Christmas song with Bing Crosby – to 2013 when “Blackstar” made a brief appearance on Billboard’s Top Rock Tracks chart. This week, “Lazarus” debuted at #40 and “Blackstar” at #87 on the Billboard Hot 100. As “Lazarus” debuted at #3 on the Billboard’s Top Rock Tracks chart, it was followed by 15 tracks in the Top 25, with “Blackstar” the only other recent release. I’m certain that no other artist has enjoyed such enormous and immediate posthumous success. I hope that you will find your favorite David Bowie songs among the nearly 100 tracks listed here. The two numbers that follow each title are its peak position and year on that respective chart. I wrap up this report with a subjective chart of my personal favorite Bowie songs. David Bowie’s duet of “Peace on Earth/Little Drummer Boy” with Bing Crosby has routinely landed on both the pop and Christmas charts each December since the 1980s. It was recorded live in 1977 as part of Bing’s annual Christmas TV show. *not counting “Lazaras” and “Blackstar,” neither of which I can put into perspective yet.